There is much evidence that regular exercise can reduce falls. Recent research suggests that a combination of different types of exercise seems to work best. 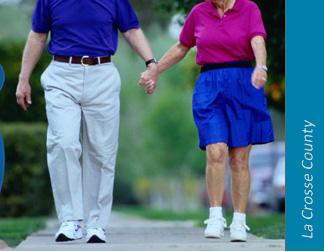 Walking or other aerobic exercise, balance training and strength training are all associated with decreasing falls. Community exercise programs in these areas can be beneficial by providing safe, motivating exercise with the added social benefit of exercising with others. SIM (Seniors in Motion) is a strength, flexibility and balance exercise program. Contact the First Presbyterian Church at 608-784-4248 for more information. Stepping On is a seven week (two hours per week) evidence-based program that empowers older adults to reduce their risk for falling and building confidence. 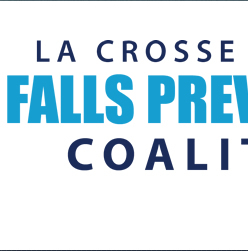 The program focuses on how strength and balancing exercises, medication management, home safety, footwear, vision and mobility are important in preventing falls. To learn more, watch this short video [3:01]. To find local Stepping On classes, check out the Calendar of Events. Strong Seniors is a strength training program to improve muscle strength, balance and bone density. 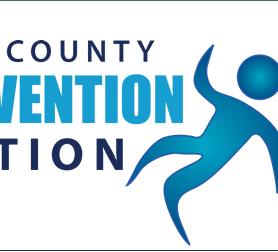 Contact the La Crosse County Health Department at 608-785-9853 for more information. Swing into Shape and Gentle Yoga combine gentle movement to improve range of motion, flexibility and strength. Programs are available for purchase on DVD. Contact Gundersen Health System at 608-775-4717 for more information. Tai Chi is a slow, graceful exercise that promotes calm mental focus and alignment while building leg strength, endurance and stability. Tai Chi Fundamentals Adapted Program is designed to make Tai Chi accessible for all ages and abilities, utlizing chairs to provide extra support and stability. Check out the Calendar of Events for details on local Tai Chi classes. NOTE: If you are having difficulties moving about your home, you are at higher risk for a fall. Take the quiz on the ASSESS YOUR RISK page and share your results with your medical provider. Depending on your situation, you might be referred to Physical Therapy or Occupational Therapy for evaluation, to an exercise program, for a home evaluation for safety and possible equipment needs, or for other services. Help is available to decrease your risk of falling.